RBTH presents a digest of Russia's most delicious culinary events from March 2-8, 2016. Taking care of your health has never been sweeter! Scientists at the G.B. Elyakov Pacific Institute of Bioorganic Chemistry (PIBOC), a research institute in the Far Eastern Branch of the Russian Academy of Sciences, have created a new type of chocolate that may increase longevity. The chocolate includes “sea vitamins”— extracts of starfish, sea urchins and magnolia vine that inhibit the process of senescence and positively influence metabolic processes. Check out this recipe for some sweet medicine. Sturgeon caviar from Russia: delicious and exclusive. Source: Lori / Legion-Media. Looking for a unique and tasty way to spend your Russian vacation? This spring, visitors to the Astrakhan region of southern Russia can try a caviar tour. According to the region’s Ministry of Culture and Tourism, the multi-day tours will include a visit to a sturgeon farm, caviar tasting and even sturgeon milking. Tourists also will have the opportunity to fish and to learn the history of fishing on the Volga River. The last — but certainly not least — event this week is the beginning of Russian Maslenitsa: Pancake week! This great feast, which precedes the Russian Orthodox fasting period known as Great Lent, grew out of a pagan celebration of the arrival of spring. 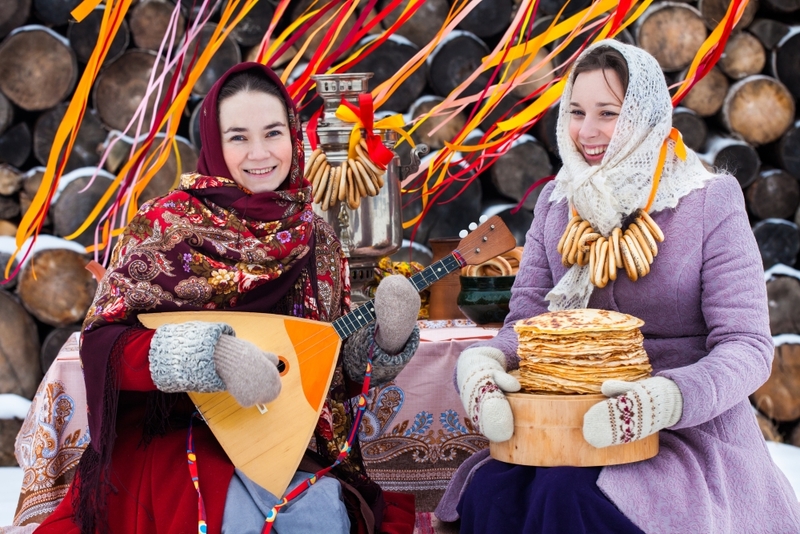 This year, Maslenitsa lasts from March 7 to March 13. Every day of the Maslenitsa week has its own traditions. Monday is the meeting of Maslenitsa, who is personified in a giant straw doll; Tuesday — the start of merriment, when everyone participates in games and competitions. Wednesday is a day of the sweet tooth, when people begin to eat pancakes — and mothers-in-law are to treat their sons-in-law. Thursday is a revelry day, kind of like a more lavish celebration of Tuesday. On Friday, sons-in-law are to treat their mothers-in-law. The straw doll that personifies Maslenitsa is later set on fire symbolizing the end of the winter. Source: Lori / Legion-Media. Saturday is the celebration of daughters-in-law and the burning of the Maslenitsa doll in a great bonfire. On Sunday, everyone asks forgiveness and as the sun goes down, Lent begins. Many Russian cities offer Maslenitsa celebrations. In Moscow, events will take place throughout the city’s main streets and parks and include pancake tasting, fairs, concerts and workshops and presentations. You can find the complete list of activities here.